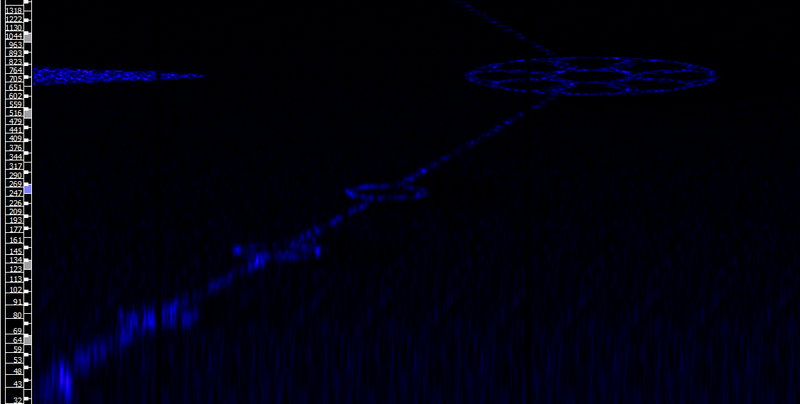 gHOST3301 Decoded Wav.Files - How will you tell the world? 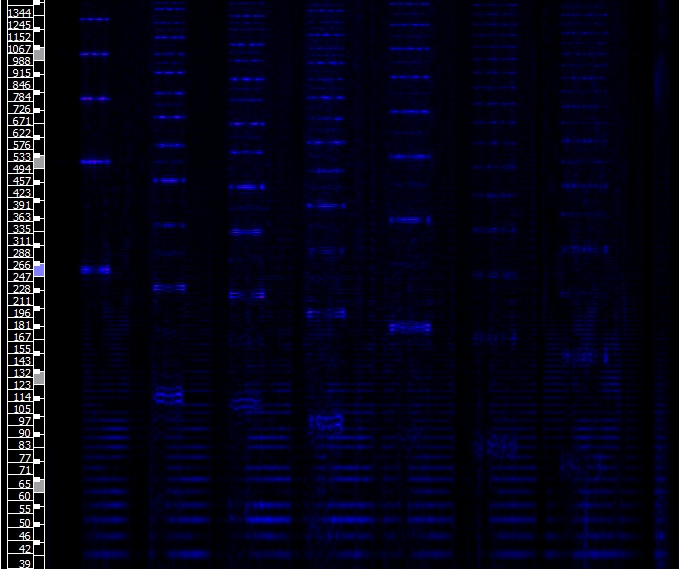 ARG "Puzzle"
DNA chart at the END !!!! https://howwillyoutelltheworld.wdfiles.com/local--files/talk%3Astart/oro7_3.jpg Also..there is what appears to be a stairway in the bottom right. 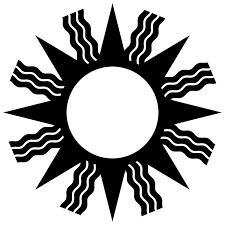 This picture The Hunab Ku symbol^ Is the same symbol used by the puzzle makers:https://howwillyoutelltheworld.wdfiles.com/local--files/talk%3Astart/the_last.jpg.png …I believe this relates to the_cycle picture. 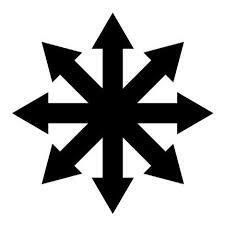 The Hunab Ku symbol is testament to the belief that it can unite opposite forces. It can be likened to the yin-yang symbol, with black spirals on one side, and white spirals on the other. Much ado has been made out of it; especially because of the Mayan prophesy about the year 2012, when the sun will align with Hunab Ku (the galactic center of the universe or the black hole discovered by scientists). The Cycle, look at it closely. One is a hollow circle the other colored in white. Darkness vs. Light. It's quite simple the name of the site is "How will you tell the world". The writer realizes no one will listen, no one will understand unless they put it into an interesting form. In two of the circles there is balance, in another two circles there is an imbalance of darkness (completely dark). Or the more likely that darkness rules. The white could stand for light, the bigger circle is the height of humanity most likely. The small white circle shrouded in darkness is the "Dark Age". After the great white circle, we can think of that as the enlightenment era, we collapse into darkness and then find a balance yet again. Now we are supposed to fall into darkness (Mass Extinction) yet again, as supposed by the cycle. Super Shemitah year is this: 1945 was the year the U.S became the number one super power in the world 1945 + 70 = 2015. 2008 was the second worst economic crash in history 2008 + 7 = 2015 ….. 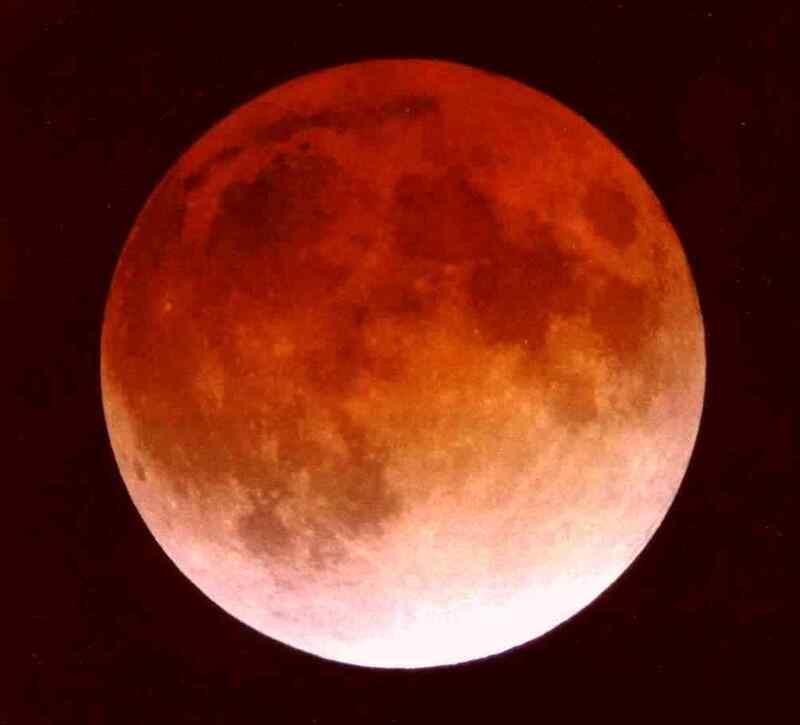 The last Blood Moon will occur September 28 of this year 2015 .It's all in the numbers. Look at the world in "numbers" and you will see the real truth before you. Shemitah Year Events of the Twentieth Century: The rising up and the falling of empires. 1917- America rises to power ending World War I. The rising of the Communist State of the Soviet Union. 1917- The defeat of Germany. The fall of the Czar of Russia. The fall the Austrian-Hungarian Empire. The fall of the Turkish-Ottoman Empire. 1945- Nazi Germany is defeated. The Atomic bomb is dropped on Japan thus ending World War II. Japan signs peace treaty the same week of the end of the Shemitah year. 1945- The United States becomes a military super power. The U.S. dollar becomes the world standard currency. The United States is the richest country in the world, and the world's largest lender nation. 1973- The United States Supreme Court declares that America's can kill their unborn babies. 1973- The World Trade Center is completed which is a symbol of Americas economic strength. 1973- America looses its first war to Vietnam. Nixon takes America off the Gold standard. This sets in motion the decline of the U.S. dollar. 1980- The U.S. Supreme Court bans the posting of the Ten Commandments in Public Schools. Thus God is now completely banned from our public schools in America. 2001- The World Trade Center buildings (the symbols of Americas economic strength) are destroyed by an Islamic terrorist attack. One week later Wall Street has one of its greatest collapses on the last day of the Jewish Shemitah Year. 2008- Exactly seven years later, Wall Street suffers its largest decline. America is now the world's largest debtor nation. 2014-2015- In Sept of 2014 we start a new Shemitah Year. This happens in connection with a Tetrad of 4 Blood Moons which all occur on Jewish feast days. Which so happens to be beyond rare. In the very middle of the Shemitah Jewish Year is a Solar Eclipse. This eclipse path will be in the North Atlantic between Iceland and Ireland traveling northeast into the Arctic Ocean.In the Jewish tradition this is a sign of bad things to occur for nations of the world. This has happen just nine times since the time of Christ. The second list of years show the years in which a Tetrad of Blood Moon occur in Shemitah Years. This has happened only 10 times in 2000 years. Only the years 2014-2015 are in both list. So this is the first time in 2000 years that a Tetrad of four Blood Moons has occurred all on Jewish feast days and in a Shemitah Year! An unprecedented event. and even more than the others is this one THE FORM IS ETERNAL. In 2014 we have started a new Tetrad of Blood Moons which all fall on Jewish Feast Days. What will happen in Israel during this time? This is only the ninth time in 2000 years that this has happened where a Tetrad has all four Blood Moons occurring on Jewish feast days. The number "Nine" in Hebrew has the meaning of "judgment"..(also the number "9" is all through our "puzzle") The last Blood Moon of this Tetrad will also be a Super Moon appearing larger then usual, and the eclipsed moon will be setting over Jerusalem on a feast day. Mitosis, the act of cell division. It's a common symbol for reproduction of an organic material. "Where we are" Notice the amount of circles in the larger circle. It shows the rise of "individualism" rather than caring for the society as a whole. It's the growth of the selfish nature(If you go right to left). If you go left to right it is the growth of the human species. The idea of meiosis is accurately represented and goes along with the idea of the growth of the species. 2d form. Acoustic Levitation is being studied using 432 hz sound waves..And has been demonstrated in laboratory settings. 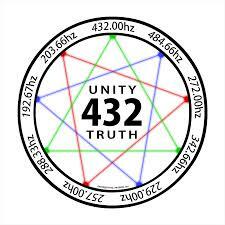 •432hz vibrates/oscillates on the principals of natural harmonic wave propagation and unifies with the properties of light, time, space, matter, gravity and electromagnetism. The sun, Saturn, earth and moon, all exhibit ratio’s of the number 432. •Concert pitch A=432hz pitch can have profound positive effects on consciousness and also on the cellular level of our bodies. 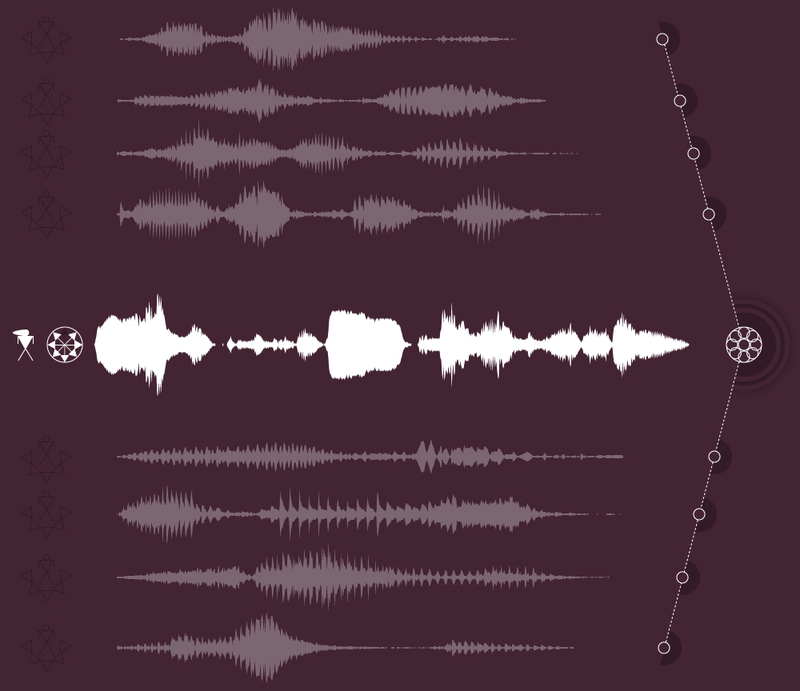 •By retuning musical instruments and using concert pitch at A=432hz instead of A=440Hz, you can feel the difference of connecting awareness to natural resonance. •A measured phenomenon of effect that may support the idea of using A=432hz as a scientific concert pitch is also based on the amount of partials of A=432hz from a musical scale that seem to correlate to organic systems and the measurement of planetary movement, the Sun and Saturn for example. Saturn is one of the solar systems accurate time pieces and it orbits the procession ever 864 of its years (432 x 2). Many ancient sites reflect the number 432 in their alignment to stars and planets and the earths path through space. Avebury and Stonehenge for example, yield the numbers 432. The connection of Stonehenge to the 25,920 year orbital procession of the equinox and the number 432 is obvious. If you take the first 30 stones in the outer ring of 360 degrees, divide that by 30 which gives you 12, and then divide 25,920 by 12 you get 2,160. which is the approximate diameter of the moon. When you divide the 60 stones in the second circle of 360 degrees by 60 you get 6. 25,920 divided by 6 equals 4,320. By dividing the 20 stones in the center circle of 360 degrees by 20 you get 18. 25,920 divided by 18 is 1,440. If the second circle of 60 stones equals 25,920 years then each stone equals 432 years around the 12 sectors of the 25,920 year procession. The center circle stones would be 20 x 432 which equals 8,640 years The center stone in the center circle would be divided in half at the time of the equinox making two stones for a total of 20. 1,440 is one sixth of 8,640. Again in the numbers of scientific concert pitch we see the numbers 144, 216, 432, 864. The earths wobble or spiral action gives us our time count of 86,400 seconds in a day and 43,200 seconds in 12 hours. 12 x 60 equals 720, and 2 x 360 equals 720. I must also mention that it takes 72 years for the earth to travel one degree around the 25,920 year procession of the equinox. Many stone circles have shown that these precise numbers also foretell of the changing of the poles and their past positions according to balanced alignment. Many stone circles were laid down to warn future generations of the passing of certain orbital astral bodies that from time to time may cause cataclysmic events. If we examine the 20th century collective consciousness and the use of A=440Hz as possible pitch control in mass media pushed through radio & television as the “British Invasion” of Rock & Roll, we see the potential anti social behaviors and possible dangers of using higher and higher pitches as central references for music. This information was well known over a hundred years ago and Rudolf Steiner warned mankind that using “luciferic brightness” and “arhimanic” tones in music could bring a condensing of greed forces in the west instead of “C” Prime=128hz (Concert A=432hz) which he mentioned was “Christ” consciousness of ascendant energy and angel “Micheal” sun tone energy in the collective awareness in the evolution of man. 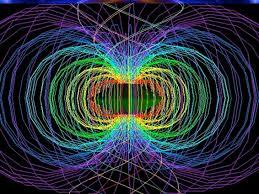 432Hertz is a harmonic of light frequency it ‘speaks’ or ‘resonates’ directly with our cells. All cells communicate with each other via infrared light so I imagine that when they receive music in 432 Hertz they are in joy…… The conscious you may not be aware of this, but most of what goes on in our bodies is sub conscious…432 Hertz truly can be considered a harmonic of light. Sound in air may be defined as the transfer …of periodic movements between adjacent colliding atoms or molecules. This sonic energy typically expands away from the site of the collisions–at the local speed of sound–as a spherical or bubble-shaped emanation, the surface of which is in a state of radial oscillation. At the point of origin of the sonic bubble an electromagnetic bubble is created by the collisions between the air molecules, because each collision creates friction that releases a small amount of infrared electromagnetism. That magnetism, like the sonic bubble, expands away from source spherically and it is modulated by the sonic periodicities, in much the same way that an amplitude-modulated radio broadcast consists of an electromagnetic carrier that is modulated in amplitude by, say, a person’s voice frequencies. Thus, the relationship between sound and light is real and very much part of the way that nature works. We cannot talk about the 432 Hertz key note without visualizing a 432 Hertz-modulated infrared light bubble. John who as an acoustics engineer, carried out cymatics research in the King’s chamber of the Great Pyramid of Giza in 1997. 432hz is tied with the Music of the Spheres, where planets and celestial bodies generate their own frequency. This possibly means that because we evolved on Earth, we are ‘tuned’ to the cosmic hum of the planets’ rotation. And for some reason, this is believed to be in the proportional tuning of 432hz. It is said that 8Hz is the fundamental “beat” of the planet. The heartbeat of the Earth is also known as Schumann resonance and is named after physicist Winfried Otto Schumann, who documented it mathematically in 1952. Schumann resonance is a global electromagnetic resonance, which has its origin in electrical discharges of lightning within the cavity existing between the Earth’s surface and the ionosphere. This cavity resonates with electromagnetic waves in the extremely low frequencies of approximately 7.86Hz – 8Hz. 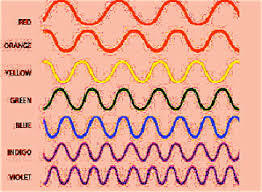 The “ordinary” or beta frequency thought waves created by the human brain range from 14Hz to 40Hz. When the two hemispheres of our brain are synchronized with each other at 8Hz, they work more harmoniously and with a maximum flow of information. On the musical scale where A has a frequency of 440Hz, the note C is at about 261.656 Hz. On the other hand, if we take 8Hz as our starting point and work upwards by five octaves we reach a frequency of 256Hz in whose scale the note A has a frequency of 432Hz. Playing and listening to music that has been tuned to 432Hz makes your body, and the organic world which surrounds it, resonate in a natural way. From a biblical account, there were ten patriarchs between Adam and Noah, who also lived long lives. The total years — adjusting for the massive overlap in their lives, add up to 1,656. In that number of years, there are 86,400 weeks, or exactly twice 43,200. Curiously, the number of seconds in a 24 hour day is 86,400. To reconcile taking half of 86,400 to obtain 43,200, one should note the ancient tradition of seeing a cycle as one half waning and one half waxing (as in the lunar cycle). The day thus has 24 hours, or 2 sets of 12 hours — 12 hours of a waxing sun, followed by 12 hours of a waning sun. 12 is, in fact, considered the celestial holy number (7 being the down-to-earth holy number). Additionally, in Revelation 12, the woman with child has a crown of 12 stars. The New Jerusalem has 12 gates, angels and pearls. And the symbol of the Heart chakra is a 12-petal lotus flower. John Mitchell, author of City Of Revelation, shows a diagram of the New Jerusalem Plan, based on St. John’s vision. It has 12 circles in a ring, with a 12-pointed star inside, formed by four overlapping triangles. (The Zodiac is often depicted in a similar way). If you take the circles to be 360 degrees each, and multiplies by the number of circles, the total equals 4,320. Viking eddas were found in Iceland that told the story of the Day of Ragnorook, the Doomsday of the Gods. At that time, 800 Divine Warriors were to come out of each of the 540 Doors of Valhalla. And as it turns out, 800 x 540 = 432,000. The Kali-Yuga time cycle of the Eastern religions, is also 432,000 years, while the other three ages of the Grand Cycle are multiples of 432,000 years — with the total of all four cycles being 4,320,000 years. The earth’s axis wobble that causes the precession of the equinoxes is given as 25,920 years. Divided by the ancient “soss”, 60, which was used in calculations, results in 432. The 60 is also relevant as the ratio of the distance to the Moon from Earth and Earth’s radius, the number of seconds in a minute, and minutes in an hour, and half the hundred and twenty years of man [Genesis 6:3]. A manufacturer of golf balls…. Once did a test to find the ideal number of dimples to put on golf balls. It turned out that balls with 432 dimples went farther than the rest. 432 is also a fundamental part of a Gematrian numbering system, that seems to be based on adding the number 36. Two of the resulting numbers are 1656 and 25920. Others are 144 or 144,000, and 1260, which also appear in Revelation. Each number had a meaning. 432, for example, means, “Consecration”. Some believe these numbers were placed in the Bible to transmit messages across time itself. 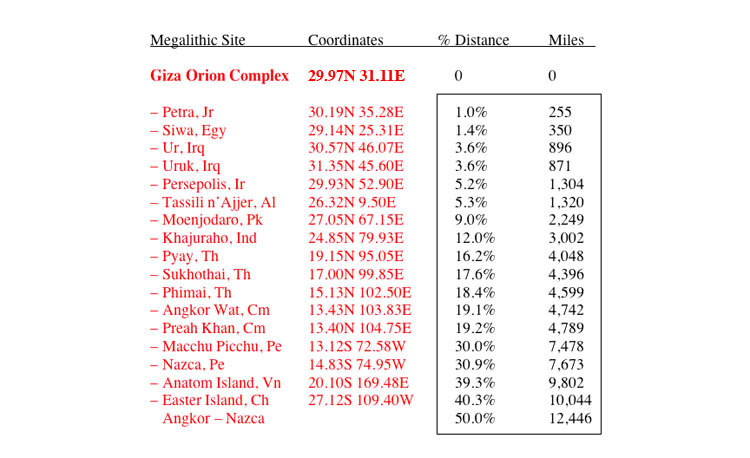 *Carl Munck has shown that these numbers were part of a very ancient system for positioning ancient sites around the world. James Furia has shown that the musical scale is also related, i.e. the centering note is “A” at 432 cps, rather than the standard 440. The terrestrial resurrection was to be the final episode in an interplanetary drama rooted in the destruction of Maldek, the original garden of Eden (the karma of which was transferred to Mars). The destruction was caused by a low frequency beam that wiped out the memory of the higher frequencies. When this occurred the memory of the lost chord was stored in the orbital cycles of the third, fourth and fifth orbits. These memories are the foundation of many myths and legends. To break the spell of amnesia, help recover the lost chord and prepare for a new beam, a remedy of fourth-dimensional codes were prepared to be time-released on Earth (Velatropa 24.3) and accessed through the 13:28 matrix. Note these numbers 243 are the same numbers as 432 rearranged. 432 is also a fractal of the 432,000,000 cycle of Brahma in the Hindu tradition. In the system of the Synchronotron, Cube 432 is a master time lens and guards the mind teachings of the Buddha, archetype of the Enlightened One. 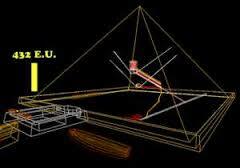 432 is located in the 9th time dimension, inner core time and is the hinge into the 9 Stations of the Ark. 4 + 3 + 2 = 9. The 9 Stations of the Ark represent the synthesis of prophets, seers, sages who have evolved and been guarding the center treasure of the Inner Cube which is now beginning to release its treasures (new song) with the new incoming beam of consciousness. As this new beam enters our consciousness via the Sun, it resurrects our sixth sense, activating our pineal gland and allowing us to regain our long dormant paranormal powers. But we must be open and receptive. 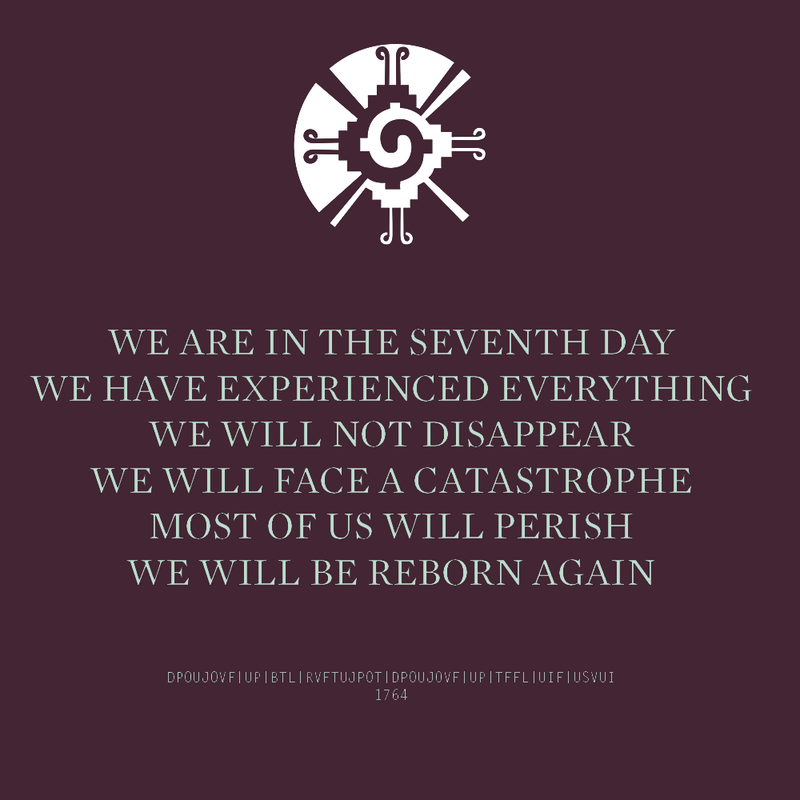 This sixth sense is made conscious through the workings of the holomind perceiver—the seventh mental sphere, the final revelation in the prophecy of Pacal Votan (see CHC Book the Cube). The 13:28 matrix is the doorway into this vast new realm of the holomind perceiver. For those studying the Synchronotron note that the sum of the natural sound frequency and the natural time frequency: 432 + 1320 = 1752. This reduces to Base Matrix 429. 429 = 13 x 33. Temple 13 is where the tomb of the Red Queen is and 33 is the number of the Initiate = Serpent Initiate. 432 backwards is 234, White Cosmic Wizard, is the galactic signature of Carl Jung who coined the word “synchronicity” in 1952, the year that the tomb of Pacal Votan was discovered. The left part of the image likely represents 12,500 orbits. This could indicate 12,500 years if is it earth and it's moon orbitting the sun. The right part, seems to indicate rising sea levels. The Full circle being emptied with the dotted circle. The dots indicate a higher tidal line in the bottom right image. This could relate to a 12,500 year glacial cycle. The whole length of the graphic being roughly 250,000 years, about the time of modern man. 9 segments of white and purple below the graphs and 9 segments above the graph. Low and high pitch of the sine wave, split into life, each oval, tear shape and circle stages,12,500 years ago today is where the cliff is, the catastrophe of something. The cliff/catastrophe could represent the event that caused a genetic bottleneck, which would explain why after the cliff, we end with only four circles (a smaller gene pool, circles representing the current genetic make up of humans).If it's assumed that the catastrophe is the marker we can follow, then we can surmise that each horizontal pixel represents 250 years of time. 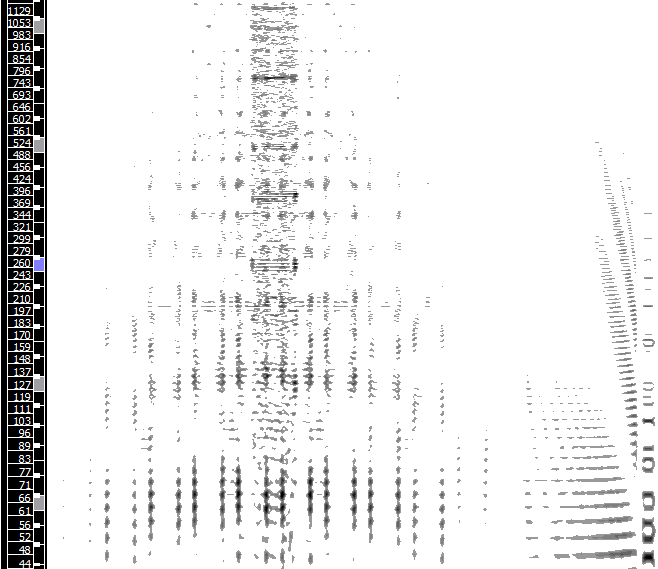 The entire graphic is 1000px wide, so 250,000 years of time is being plotted (going from left to right). "Progenitor" means "origin" or "cause"
Based on the sun's 28 day cycle, humans are exposed to differing levels of radiation, and depending on which one they are exposed to the most (given that the earth also turns on a 24 hour cycle, thus exposing different humans to different levels and types of radiation) the sun, or lack of exposure to it can cause our divisions. In a more general (and probably more accurate) sense, light, or lack of light causes our divisions. In this way, there are those who are in the light, those who are in the dark, and those who are between the two. Along similar lines to theory 1, there are 4 different nitrogen bases in our Human DNA. These are also split into two groups (pyrimidine's and purines) just as the four wavelengths are split into two groups. The way these 4 bases are put together create a division between us. Like theory 1, differences in levels of radiation cause different mutations and differences in the 4 nitrogen bases of our DNA. The image could also be signifying what caused life forming DNA to "divide" from the solar system, the sphere on the left being the progenitor. 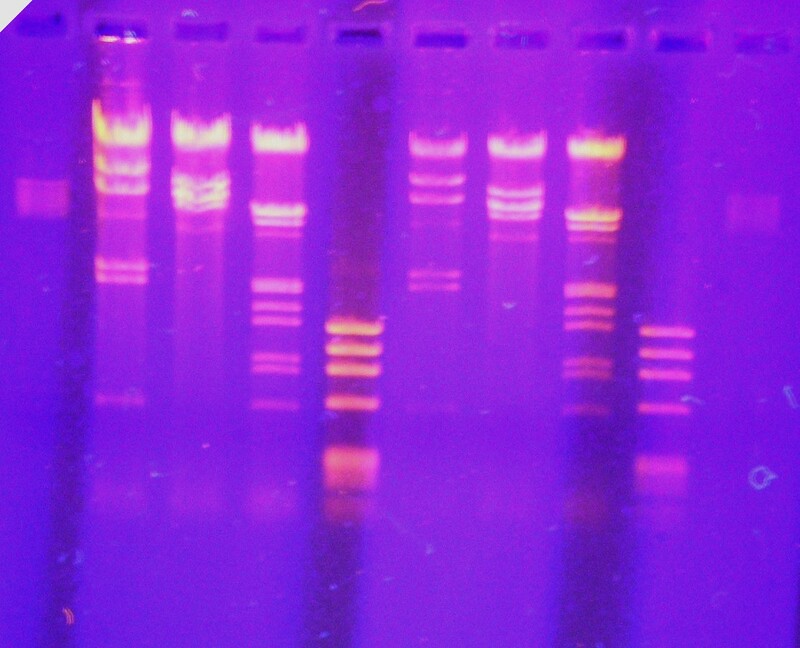 Along with the above, the DNA connection could be made to the incongruity, considering it was posted right before this image. If so, the progenitor could literally have something to do with the development of homo sapiens and the process that caused homo to "divide". That lesson focuses on what seems to be light frequencies, and what could also seem to be levels of chakras, or enlightenment meaning that possibly the "progenitor" of our division is the lack of light, and the "panacea" of our division is full chakra, or full enlightenment. 7 Circles in left group, 2 filled, 5 unfilled. 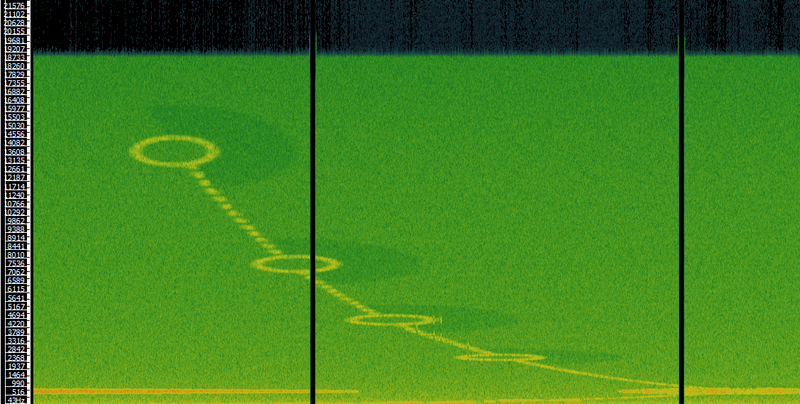 When applying the scale on the bottom, 1px = 20 (unit unknown), this allows us to measure the wavelengths. These measurements correspond to colors in the visible spectrum. There may be a +- 20 due to a difficulty in measuring. As shown in The Justified Ostracism, the five triangle formation is associated with the circle headed figures, and the full eight triangle formation being associated with the tear drop headed figures. The seven triangle figure could represent the panacea for the division of these two. The five triangles could represent the five senses, indicating people that are only aware of the physical world around them. The eight triangle formation could represent the Eight consciousness's of Buddhism. Globe image shows dotted lines intersecting at equator (0° latitude) and the prime meridian (0° longitude), with solid lines intersecting at Giza (29°58′45.03″N 31°08′03.69″E). Coordinates may be calculated based on the number of squares in each grid. Take one set for example. The first group has a set of six squares, followed by a diagonal set of five. Multiply and you get 30. This is the first coordinate. Doing the same for the second group, you have ten squares following by a diagonal of seventeen. Multiplying gets you 170, the second coordinate. Since the quadrant is SW, the first coordinate is south and the second is west. This results in a coordinate of -30, -170. 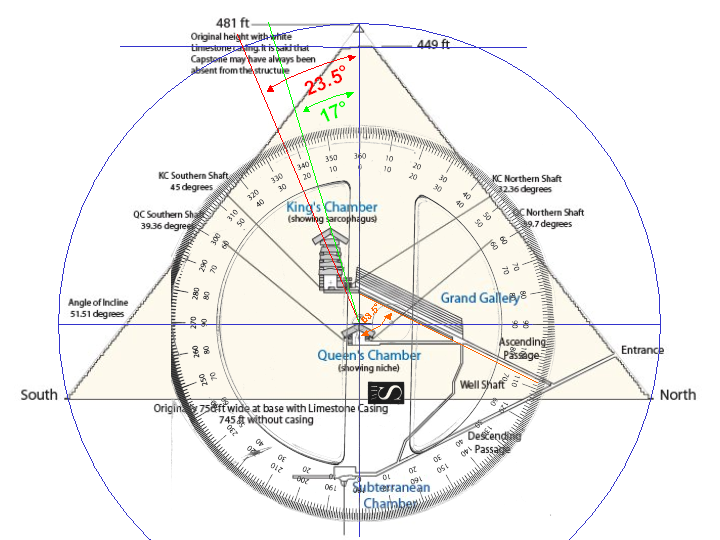 The coordinates can be adjusted based the idea that the globe image shows the prime meridian/equator intersection being "recalibrated" to the location of Giza, or more specifically to the great pyramid. It is roughly at 30,31. Therefore, you will move the coordinates 30 degrees north, and 31 degrees east. The (-30,-170) coordinate now becomes (0, -139). 432 squared is 186,624, which comes close to Einstein’s figure for the speed of light – 186,282 miles per second.  If you plot the Pythagorean tuning for the C-Major scale on a 360 degree wheel, the wheel is based on 16 divisions, and if you set middle C as 256Hz (A432 tuning), you get 16 sections of 16Hz in the wheel. The math that is evident when tuned to A-432 show what is called “The Plato Code”. Just like there are hidden codes written into the bible there are also hidden codes in the 432 matrix. 432 is THE ONLY resonant frequency that is capable of naturally reproducing what is called the “Pythagorean Musical Spiral”. Its the same sequence of growth that all life follows. It utilizes the formula of “Phi” also know as the “Golden Mean” and is also found in the “Fibonacci sequence”. Using Pythagorean theorem, we can use r to find the hypotenuse length (corner to corner of the pyramid) which will give us the diameter of the larger circle. This is 32580.65. As with the smaller, circle, we will use this to find the circumference of the larger. If e is the circumference, then e is ~102355.130689 cm. Subtract i from e and you get ~29979.1191358. The speed of light is ~2997924568 m/s. Let us now return to Earth and note the fact that it is tilted… the angle of tilt (which is primarily responsible for the seasons) equals 23 degrees 27 minutes and 8.26 seconds. Approximately. The decimal equivalent (to the last significant decimal place consistent with the accuracy of + or – 0.01 seconds or arc) is: 23.45229… degrees. Obviously, this angle reduces to… 9. Also, the axis of the Earth points to Polaris, the North Star. But this is not consistent. There is something called the Precession of the Axes, where because of the Earth’s tilt (23.45229… degrees), the Earth’s axis very slowly rotates and carves a circle in the Northern skies. On this circle lie Polaris, Alpha Draconis and Vega — the three Pole Stars which dominate different eras. The period of time for the Precession of the Axes is 25,920 years. This is a long time, and represents a number which reduces to 9. And each astrological age (of which there are twelve — with us progressing from Pisces to Aquarius) lasts for 2,160 (9!) years. If we divide 2,160 by 3 (number of pole stars), we get 720/9. The t line running through the pyramid figure does not appear to go directly through the center, but rather slightly off center. As can be seen in the image below, the king's chamber is also slightly off center. 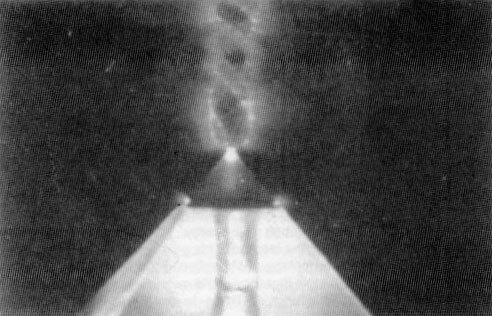 I believe this is due to the tilt of the planet Earth…And having to line it up to be able to channel the hex shaped sound waves(light waves) they were using for power…..Like this picture below shows the angle of the king's chamber in the Great Pyramid. The t line running through the pyramid figure does not appear to go directly through the center, but rather slightly off center. As can be seen in the image above, the king's chamber is also slightly off center. I believe this is due to the tilt of the planet Earth…And having to line it up to be able to channel the hex shaped sound waves(light waves) they were using for power to move the stone blocks and many other uses…Like pictured below. Eight sections of dotted lines on the right. The number of dots in each section (from the top): 13, 11, 13, 28, 23, 12, 14, 16 (due to pixilation, these may not be accurate). These eight sections converge onto a single structure that is a circle surrounding eight interlocking circles surrounding a single circle. There are two shaded regions emanating from that structure, with four additional lines beyond those. 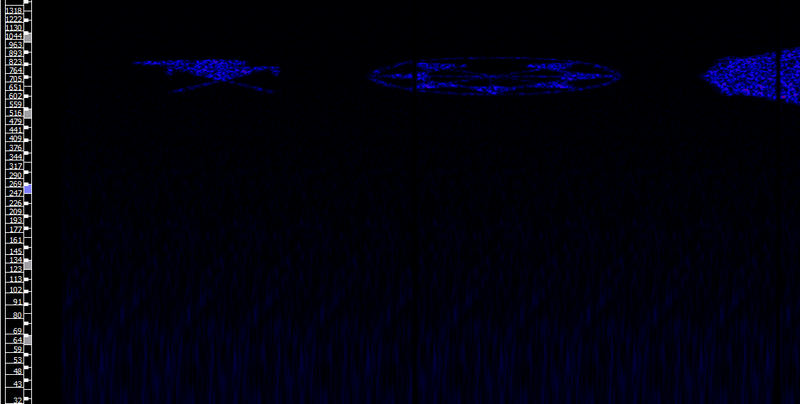 There are nine audio signals. The pixels lengths (from top to bottom): 365, 395, 426, 447, 549, 467, 465, 455, 422. Starting with 0 and 1, each new number in the sequence is simply the sum of the two before it. 0, 1, 1, 2, 3, 5, 8, 13, 21, 34, 55, 89, 144, …ratio of each successive pair of numbers in the sequence approximates phi (1.618…)..as 5 divided by 3 is 1.666…, and 8 divided by 5 is 1.60…and so on. Another example of Egyptian architecture shows us a more complex usage of pentagonal symmetry. This time, however, the building depicted is not a tomb, but instead is believed to have been a temple used for initiation ceremonies. It is known as the Osirion, (the image below) and is located completely below ground level. the rectangle that is defined by the outer points of the two abutted pentagons is in fact a platform, with stairs leading up to it at the far ends. The small node-like chambers that radiate from the central chamber are also located off the ground, with their floors being at the same level as the central platform. It is believed that the lower areas of the room were filled with water, turning the central platform into an island of sorts, and that the small node-like chambers were used as meditation chambers by initiates. The use of the phi proportion in this instance is no suprise either, when it is considered that the Egyptians believed that an initiation into the temple was an effectivly a rebirth for the initiate to a new life – the profane individual had died, and the spiritual person was born out of the ashes of his/her death. 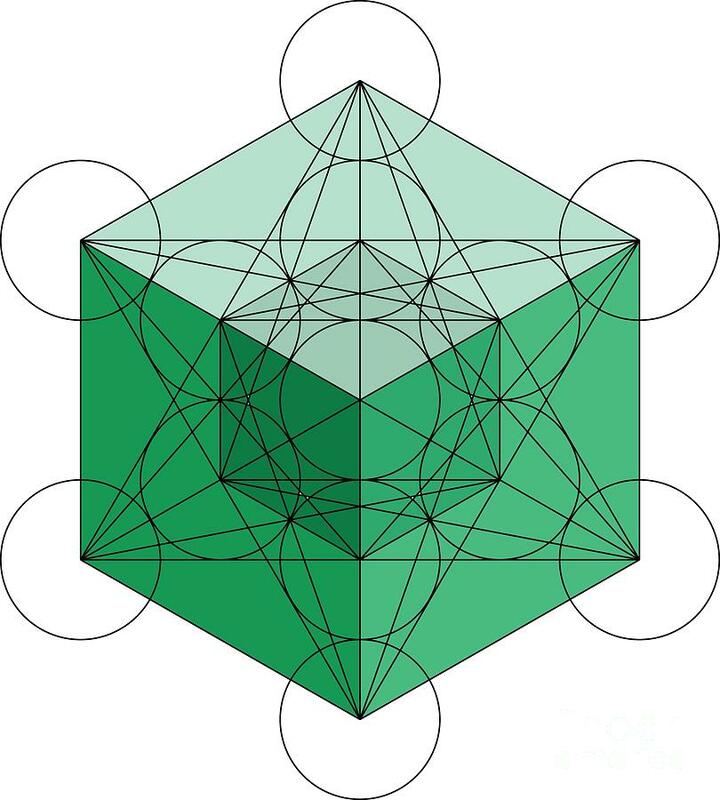 The regenerative achetype, and thus the Golden Proportion, plays an obvious role in this idea of rebirth within the span of one’s lifetime, so it only makes sense that we should find this geometric form in the Osirion. As the image illustrates, the Golden Proportion defines a proportion wherein the smaller line segment relates to the longer line segment in the same way that the longer relates to the sum of both shorter and longer segments. If we assume that the longer segment is equal to 1, then the entire line must measure 1.618…, or if we assume the total length (A+B) to equal 1, then the line that divides the totality (often labeled the “Golden Division”) falls at 0.618… If the proportion is broken down algebraically, it will show that the division must always fall at the specific value 0.618…, or 1:1.618…, which is the value known as Phi. To summarize, geometrically speaking there is only one way to create a proportion that contains only two variables. That proportion, when algebraically reduced, happens to equal the irrational number known as Phi – 0.618… or 1:1.618… Phi “coincidentally” happens to give us an apt expression for the transcendence of humankind, and also gives us the ability to understand how it is possible that the unified universe can be divided into myriad forms, yet continuously relate back to the ever-present unity of all things. This picture ABOVE HAS Bastet the Sun goddess in it she is in this picture too…But due to being black on black you can not see it. Both the New picture and the Old picture I just talked about above…They both have "cubes"………and half domes in them. 8. *NEW* The_justified_ostracism Full Mp3….all nine wav.file's connected !! !